This is the longest road train I have ever seen. 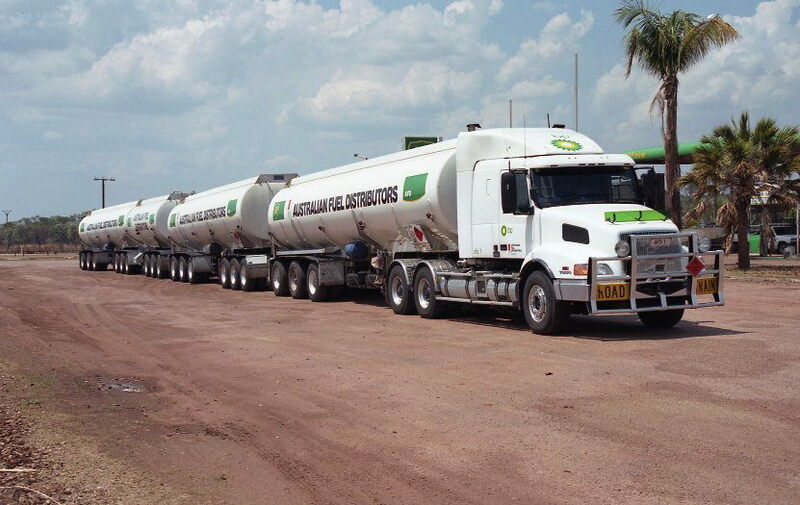 These kind of fuel trucks are travelling mainly between Darwin and Alice Springs. A more unpleasant type of road train is the so called kettle train which leaves a real long lasting impression when they are loaded with kettle.